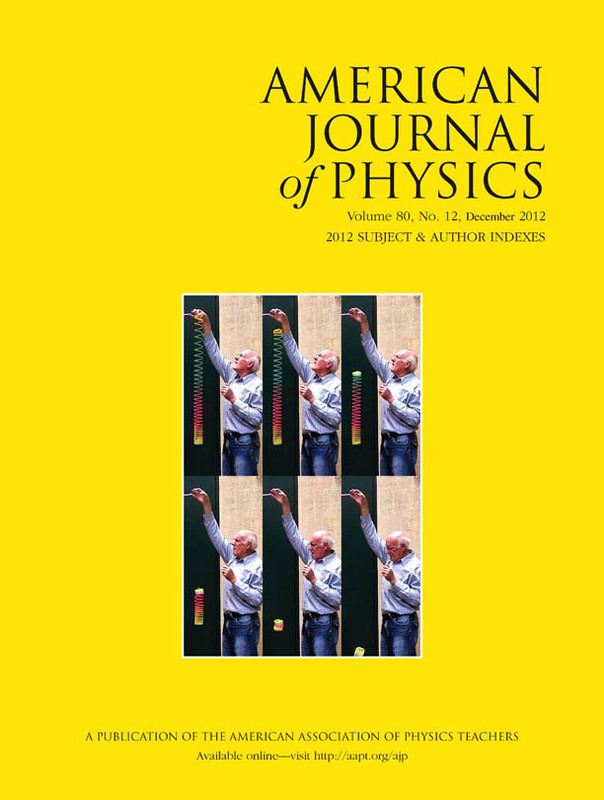 American Journal of Physics, 80, 12, Dec 2012, featuring Rod Cross on the cover. Falling slinkies reveal interesting dynamics. 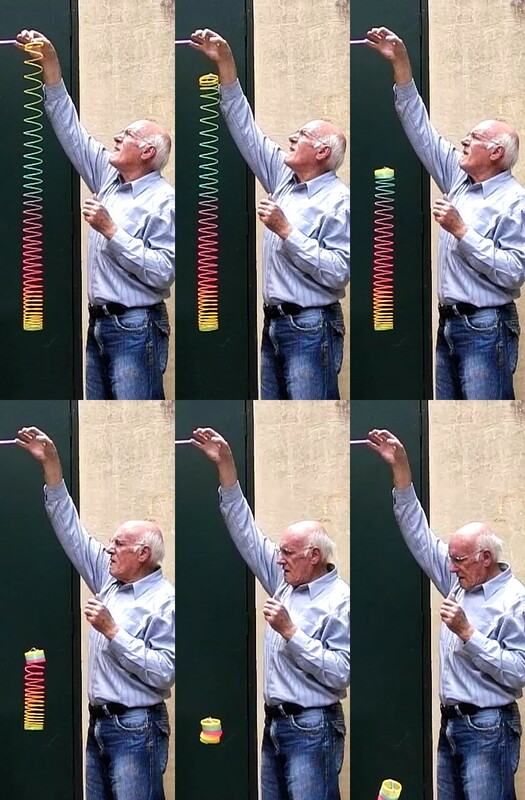 If a slinky initially suspended from its top is released, the bottom of the slinky does not fall until the collapsing top section collides with the bottom (movie at lower left). The tension in the spring collapses from the top downwards, behind a wave front which runs down the slinky. A semi-analytic model for the fall was presented by Calkin (Am. J. Phys. 61, 261, 1993). I worked recently with Rod Cross on improving this model - including a finite time for collapse of the slinky turns behind the front - and fitting the model to data extracted from high-speed movies of real falling slinkies. The results are presented in a paper (Cross and Wheatland, Am. J. Phys. 80, 1051, 2012). [The AJP pdf is available subject to this copyright.] A short account of the modeling was given in a Research Bite talk in the School of Physics at the University of Sydney. The links below include Rod's movies of the falls of two real slinkies, which provided the data used in the paper, simulation movies of models described in the paper, and two videos from the Veritasium YouTube channel run by Derek Muller. Fall of the plastic rainbow-coloured slinky.